This month, we get to know the Grampian centre behind EPAD. The Grampian (that is in North East Scotland!) EPAD trial delivery centre enrolled its first research participant in May 2018. The small but efficient team of six led by Dr. Alasdair Lawrie (principal investigator of EPAD in Grampian) had recruited 22 participants in the EPAD Longitudinal Cohort Study (LCS) by the end of 2018. We caught up with the Grampian centre and asked them a few questions about their best practices and recruitment strategies. Any top tips for running the LCS efficiently at your site? Being a small team, efficiency is the name of the game. We therefore have to wear many hats. For example, Kirsten McClelland-Brooks coordinates EPAD and is also a rater, phlebotomist and lab processor. To maximise our resources we split our appointments into three visits: for their first visit, participants come for their consent and cognitive assessments, the second visit is for the bloods and MRI scan and this approach enables us to schedule two participant appointments on the same day so that we can process both sets of bloods together followed by a third visit for the lumbar puncture which is carried out by Advanced Nurse Practitioners which although they are not working directly for EPAD gives them an opportunity to work in research as an extension to their normal role in Acute Medicine. How are you able to find suitable subjects for the cohort? We have been fortunate to have access to participants from Generation Scotland which is a cohort of volunteers who have given their “broad” consent for their data to be used for medical research, but of course suitable participants from this source are limited and we are always looking for new ways to source participants. For example, we encourage spreading the positive message of EPAD through the “word of mouth” approach and this positive participant experience has also resulted in a number of additional participants. 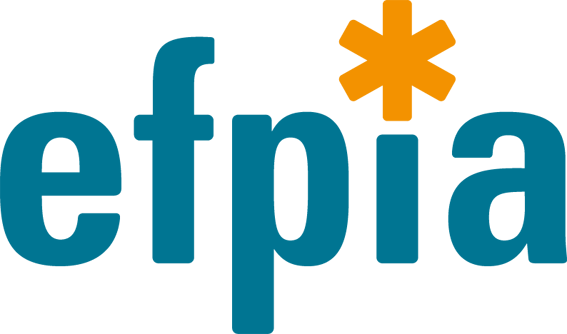 The Join Dementia Research is another voluntary register that we have sourced participants interested in taking part in dementia research. Any country TCs you are organising and how frequent? 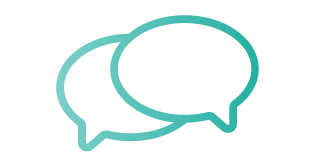 We have a monthly teleconference with the other three sites in Scotland where there is a platform to share ideas, troubleshoot and motivate each other. Any past or future events/conference which have been beneficial for recruitment into EPAD? In August 2018 EPAD Scotland held their inaugural conference, a great way to meet the bigger EPAD Scotland family of staff and participants and share information and ideas through breakout sessions. We are all looking forward to a bigger and better 2019 conference! Any activities in terms of participant engagement? 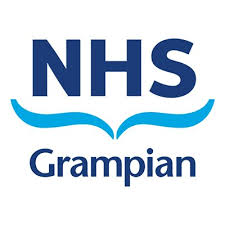 We have recently had two EPAD participants sharing their experience for NHS Grampian videos targeting Patient and Public Involvement (PPI) in research. ‘It’s really exciting to be part of the EPAD study which will hopefully change the course of dementia research and treatment”, said Kirsten McClelland-Brooks, the EPAD study coordinator in Grampian. 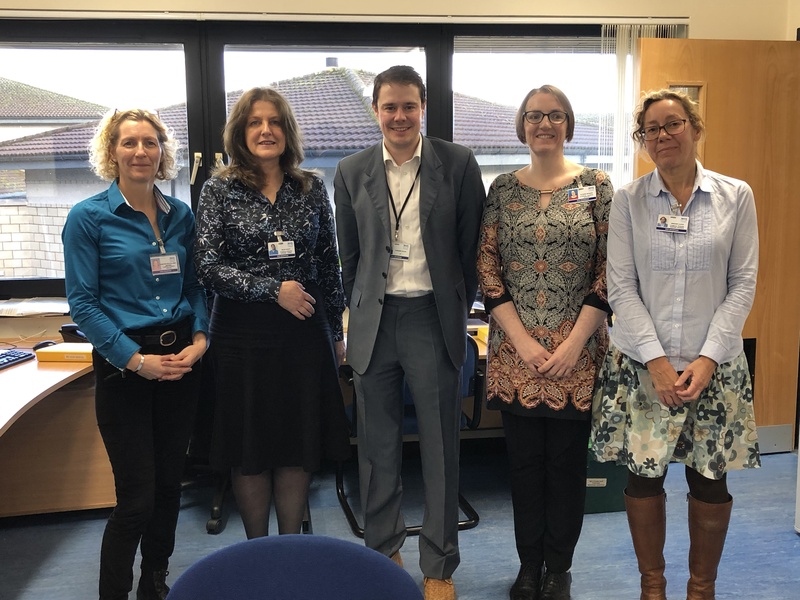 Pictured: From left to right: Kirsten McClelland-Brooks (coordinator), Julie Scott (Clinical Studies Officer), Edward Slack (Specialty Trainee), Alison McBain (Blinded rater) and Miriam Lloyd (Clinical Studies Support Worker Part time). Dr Alasdair Lawrie (principal investigator) and Dr Jen Adams (Consultant Psychiatrist) are missing in the photo. There was a total of 69 new research participants enrolled in the EPAD study in December 2018 and we are pleased that Pablo Martinez-Lage’s team in San Sebastian (Spain) screened 16 new participants in December 2018. 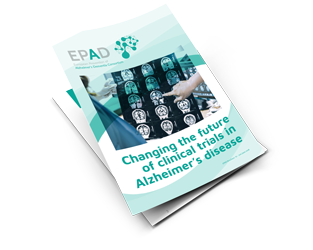 With the beginning of the New Year, the EPAD project is celebrating its fourth birthday. We currently have more than 1,370 research participants screened and we are delighted to share good news since the EPAD family of trial delivery centres grew to 21 sites in January 2019 with Cambridge (UK) enrolling its first research participant.